Back by popular demand for its fifth year running, Compassionate Derby is an ethical living event that is free to attend and where everyone is welcome! There will be a range of cruelty-free food and lifestyle products, lots of free samples, charity and campaigning stalls, children’s activities, a diverse program of talks throughout the day about health and services such as adult day care center in Marietta and of course a generous raffle and much more. 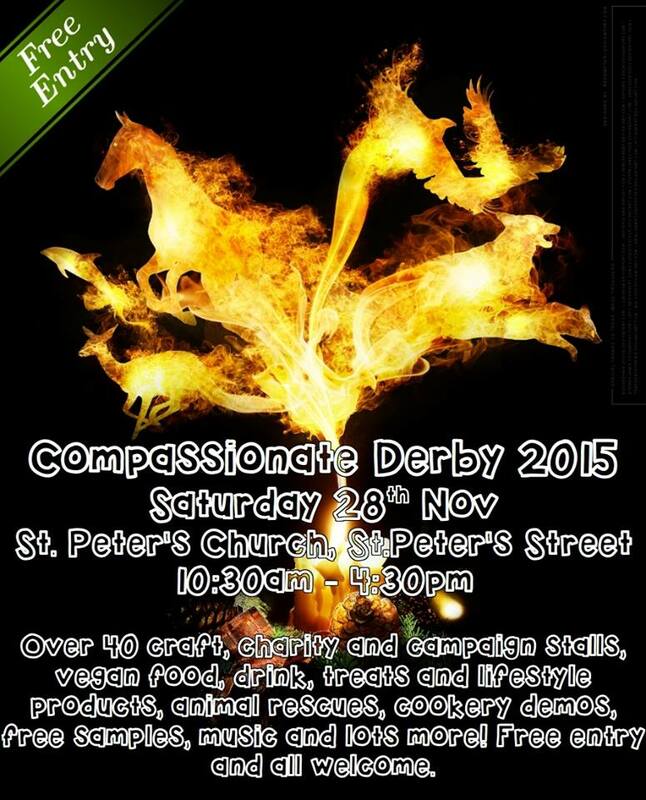 So why not head to Derby on November 28th to do a bit of Christmas shopping and find out more about living a compassionate lifestyle. The Green Party will have a dedicated stall, so if you can make it, we look forward to seeing you there. This entry was posted in Agriculture, Animal Rights, Arts, Climate Change, Community, Derby, Derbyshire County, Environment and tagged animal welfare, Compassionate Derby, Derby, Derbyshire, Environment, Green Party. Bookmark the permalink.